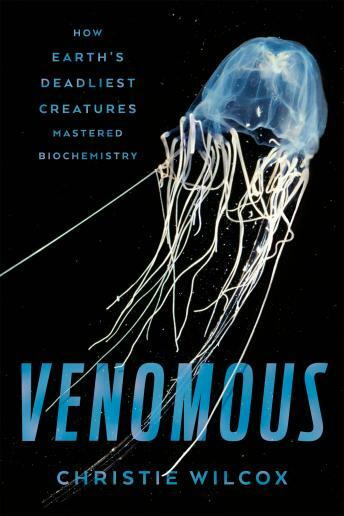 In Venomous, the molecular biologist Christie Wilcox investigates venoms and the animals that use them, revealing how they work, what they do to the human body, and how they can revolutionize biochemistry and medicine today. Wilcox takes us from the coast of Indonesia to the rainforests of Peru in search of the secrets of these mysterious animals. We encounter jellyfish that release microscopic venom-packed darts known to kill humans in just two minutes, a two-inch caterpillar with toxic bristles that trigger hemorrhaging throughout the body, and a stunning blue-ringed octopus with saliva capable of inducing total paralysis. How could an animal as simple as a jellyfish evolve such an intricate, deadly poison? And how can a snake possess enzymes that tear through tissue yet leave its own body unscathed? Wilcox meets the fearless scientists who often risk their lives studying these lethal beasts to find out, and puts her own life on the line to examine these species up close. Drawing on her own research on venom chemistry and evolution, she also shows how venom is helping us untangle the complex mechanisms of some of our most devastating diseases. Venomous reveals that the animals we fear the most actually hold the keys to a deeper understanding of evolution, adaptation, and immunity. Thrilling and surprising at every turn, Venomous will change the way you think about our natural world.